The caption reads, "The fiddling with temperature data is the biggest science scandal ever"
"Due to their symmetry, homonuclear diatomic molecules like N2 and O2 do not exhibit a static electric dipole moment, such as H2O, nor is there the possibility to induce vibrationally a dipole moment, as in the case of CO2. Thus, there are no strong infrared absorption bands due to dipole transitions as in the case of the major greenhouse gases. However, as discovered by Crawford et al. , collision-induced absorption leads to weak absorption features of N2 and O2 in the infrared [e.g., Hartmann et al., 2008]. This work challenges a common perception on the negligible role of O2 and N2 as natural greenhouse gases in the Earth’s atmosphere compared to species like CH4 or N2O. 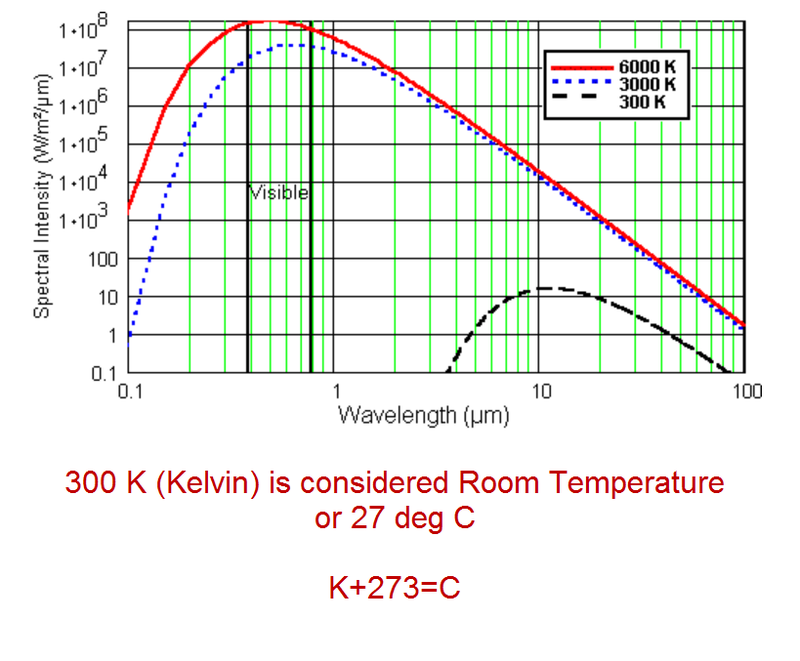 It is in fact the large abundance of oxygen and nitrogen which compensates for their only weak interaction with infrared radiation through collision-induced absorption bands. 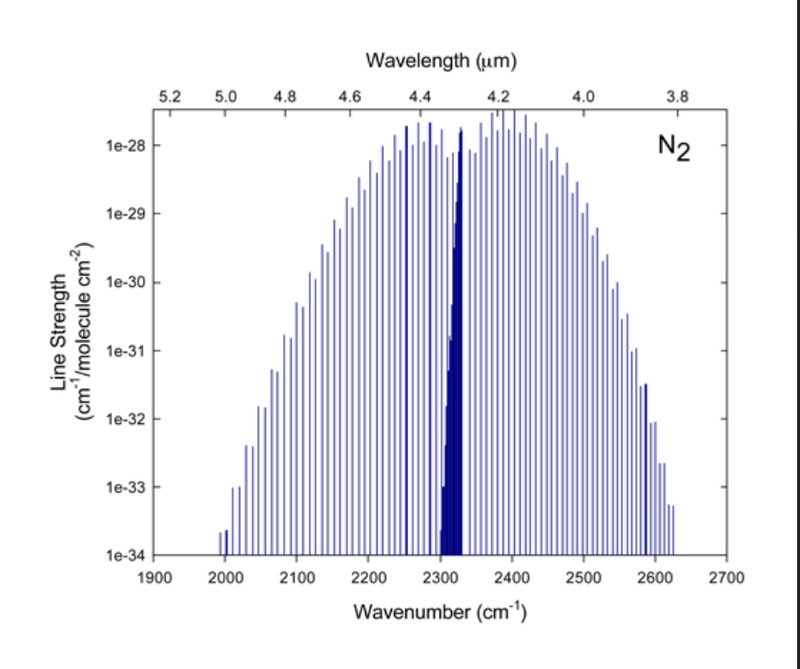 We have shown that for hypothetic atmospheres consisting of only single gases the natural greenhouse effect of O2 and N2 together would be larger than that of CH4 by a factor of around 1.3. 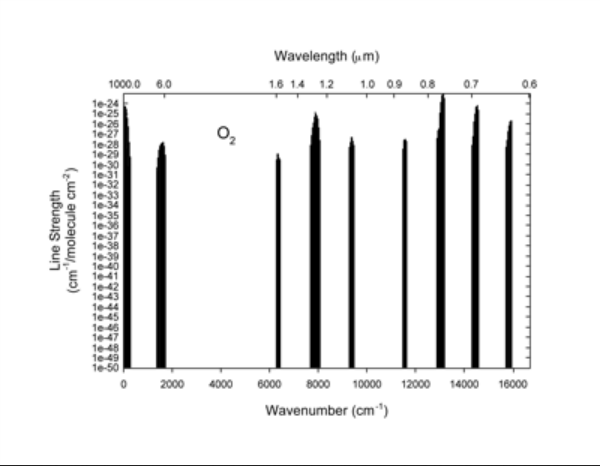 For a realistic atmospheric composition this effect is reduced through shading of O2 and N2 absorption bands mainly by spectral signatures of H2O and, to a less extend, by CO2. Still the net global OLR reduction of oxygen and nitrogen together is with 0.28 Wm 2 about 15% of that due to CH4. However, for dry atmospheric situations like over the Antarctic continent the effect of O2 and N2 even reach up to 80% of the influence of CH4 for a realistic atmospheric composition." 'The natural greenhouse effect of atmospheric oxygen (O2) and nitrogen (N2)', GEOPHYSICAL RESEARCH LETTERS, VOL. 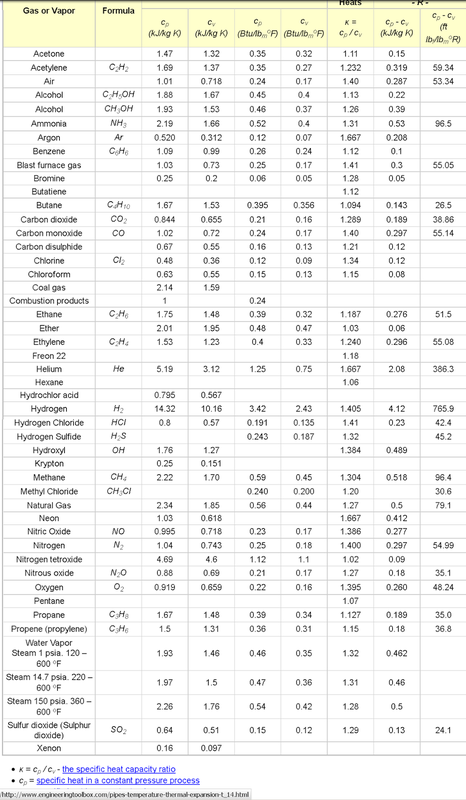 39, L10706, doi:10.1029/2012GL051409, 2012.
stock here: However, they present a nice chart which proves that CO2 is actual an excellent energy emitter, i.e. an atmosphere coolant. "The presence of complicated molecules in the earth's atmosphere impedes the earth's ability to radiate thermal energy into space. By complicated molecules, I mean ones that have vibrations that allow them to absorb infrared light. The most abundant molecules in our atmosphere, nitrogen and oxygen, don't do that." In other words, increasing Carbon Dioxide into the atmosphere means increasing the cooling of the atmosphere; Carbon Dioxide is a superior absorption molecule for IR, snatching IR that would otherwise have been absorbed by Oxygen and Nitrogen, but because Carbon Dioxide is an inferior retainer of heat compared to Oxygen and Nitrogen, a greater portion of the IR induced heat emitted by the increased levels of Carbon Dioxide is lost to space, thereby cooling the atmosphere. Result: All things remaining equal, increasing the levels of Carbon Dioxide into the atmosphere COOLS the atmosphere, meaning attempts to curb Carbon Dioxide levels will actually INCREASE temperatures. The real scandal concerning man made global warming isn't these phony back and forth accusations each side throws at each other every once and awhile, but (1) the verifiable lie both sides keep quiet about concerning Oxygen and Nitrogen's capability to absorb infrared radiation; and (2) both sides' silence on the more important issue of an atmospheric gas' RETENTION of the heat generated within it due to IR absorption. The fact that both sides are working together to cloud the issue of global warming tells us there's a THIRD side present--Marxists attempting to sabotage the economies of the West. The Soviet KGB uses its own set of code words to refer to the dialectical strategy. According to former KGB staff officer Anatoliy Golitsyn, the official term for the dialectic is the “scissors strategy,” in which the blades represent the two falsely opposed sides that converge on the confused victims [neutralizing true opposition]. Golitsyn, who is probably the most important Soviet ever to defect to the West, escaped in 1961. After more than two decades of trying to warn uninterested American leaders, he wrote the 1984 book New Lies for Old as a warning to the general public, exposing the role of the scissors strategy in global events. And a rebuttal here, playing the conspiracy card, lol The absorption of IR of N2 and O2 is a small correction to the IR absorption of outgoing long wave radiation. It does not negate the much larger effect of CO2 and the H2O on climate according to the link you have posted. If you look at the link, the bulk of the asorption for N2 is taking place below 200/cm and above 2200/cm. In both of these cases there is practically no radiation emitted from a surface at 300K at these wave lengths. There is a reduction in tramission due to oxygen around 1600/cm but this is at its minimum about 0.7 with a maximum of 1. If you look at the absorption of water vapor in that range it is practically 0. So this is a small effect present only in dry atmospheric conditions. Since CH4 the 15% of CH4 is only a small factor in the GHE. CO2 and H2O produce the lion's share of warming. In addition your post shows that you don't understand the atmospheric greenhouse effect. It does not depend at all on the heat capacity of gases as you imply. The amount of radiant energy that they retain is not the issue. It is the fact that the upward going radiation that would normally go to outer space is absorbed and re-emitted equally in all directions. So half of what is absorbed is sent back downward. The emission rate and absorption rate per unit volume depends on the temperature and the density of GHG's. The radiation sent to lower elevations will act to warm the lower elevations, including the surface of the earth. At higher elevations the temperature is reduced and so is the absorption rate, so the radiation escapes to outer space. Because the temperature is lower at higher elevations, the radiation flux is less, because of the Stefan Boltzmann law. That is why the outgoing radiation is reduced below what it would be as a result of the action of GHG's. So you scientific understanding of the GHG is low. This combined with your overwhelming anxiety about Marxists lurking in the shadows ready to pounce leads to a post which is a combination of scientific quackery and paranoid conspiracy theory. Classic! 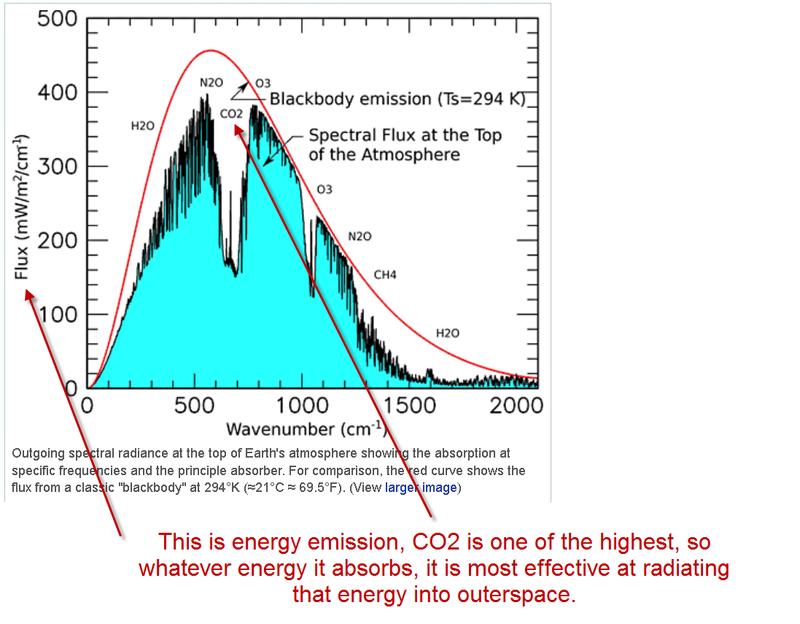 Your discussion of CO2 blackbody radiation reminded me of natural CO2 lasers. Authors: Stepanova, G. I. & Shved, G. M.